Hernan Cortes was born in Medellin, Spain, to a family of lesser nobility. Around the age of fourteen, he went to study at the University of Salamanca for a couple of years and soon after, in 1504, left Spain to seek his fortune in the New World. As Cortes reached Santo Domingo, the capital of Hispaniola, he registered as a citizen and settled in the town of Azua de Compostela where he served as a notary for several years. In 1511, he joined Diego Velazquez in an expedition to conquer Cuba. Velazquez was so impressed by Cortes that he secured a high political position for him in the colony. As time went on however, the relationship between the two became tense and, in 1518, as Cortes was about to lead an expedition to Mexico, Velazquez changed his mind and revoked his charter. But Cortez ignored the order and set sail for Mexico anyway with 500 men, 11 ships and 13 horses. Cortes became allies with some of the native peoples he encountered, but with others he used deadly force to conquer Mexico. He fought Tlaxacan and Cholula warriors and then set his sights on taking over the Aztec empire. As the Spaniards reached the Aztec capital, Tenochtitlan, they were received with open arms by Moctezuma II, the ruler of the Aztec empire, who thought Cortes to be the feathered serpent god, Quetzalcoatl, because he was of lighter skin, sitting on his horse and wearing metal armor. Nonetheless, Cortes took Moctezuma hostage and his soldiers raided the city. Led by Cuauhtemoc, Moctezuma’s nephew, the Aztecs rallied. Though reinforced, the Spaniards were besieged, then routed as they fled but they were soon back, and laid siege in turn. They finally took the city in 1521 and claimed it for Spain. As a result of his victory, King Charles I of Spain (aka Charles V, Holy Roman Emperor) appointed him as governor, captain general and chief justice of the newly conquered territory, dubbed “New Spain of the Ocean Sea” but Cortes faced challenges to his authority and position. 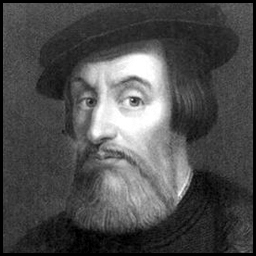 He traveled to Honduras in 1524 to stop a rebellion against him in the area. Back in Mexico, he found himself removed from power so he traveled to Spain to plead his case to the king but he was not reappointed to his governorship. In 1540, Cortes retired to Spain and spent much of his later years seeking recognition for his achievements and support from the Spanish royal court. I first heard about Cortes in my early adolescence. I didn’t know much about him at the time but the fact that he was a soldier, an explorer and an adventurer was enough to fuel my imagination. As I grew a older, it was Cortes’ determined character and pioneer spirit that impressed me. He was willing to do anything to reach his goals. In one instance, he even scuttled his ships in order to eliminate any ideas of retreat among his men. Today, as I am writing this, it’s his insatiable greed for gold, his desire to always have more, that fascinates me. It’s what capitalism is all about and I love it.